Light. Space. Light and space without time, I think, for this is a country with only the slightest traces of human history. In the doctrine of the geologists with their scheme of ages, eons and epochs all is flux, as Heraclitus taught, but from the mortally human point of view the landscape of the Colorado is like a section of eternity—timeless, Edward Abbey, in Desert Solitaire (1968). Horse Shoe Bend, on the Colorado River below Glen Canyon Dam. It is this narrow canyon that provided the geologic framework for a dam built in the early 1960s that flooded hundreds of canyons upstream. Click on any photo to get fill sized views. J.W. 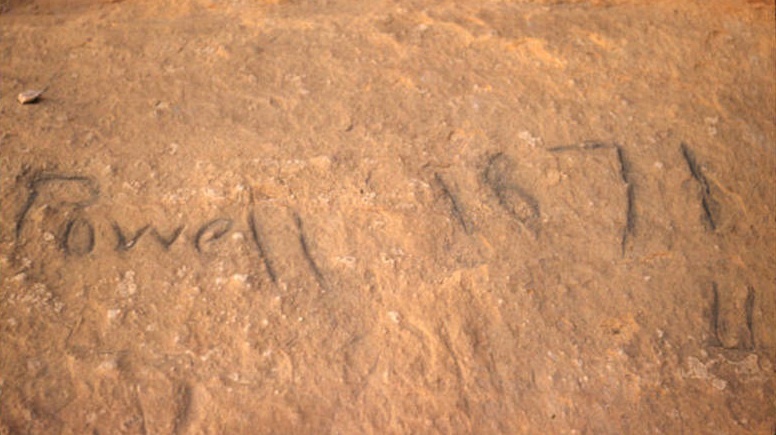 Powell’ carved his name Navajo Sandstone at Music Temple in Glen Canyon on the second expedition. Music Temple was (it is underwater now!) a large amphitheater or grotto in a side canyon that was said to echo musical notes with great fidelity. Powell’s adventure captivated the nation, but from a scientific standpoint it was beset with difficulties – lost data, lost instruments, and deserting crew. This motivated Powell to retrace the journey again in 1871, this time funded by a congressional appropriation, and he included a photographer. The photographs offer a glimpse into a magical landscape – one that man has dramatically altered, first with the Glen Canyon Dam, and now with a large power plant that dominates the skyline. Entering Marble Canyon (about 5 miles south of Glen Canyon), Powell expedition 1871. John K. Hillers photograph. 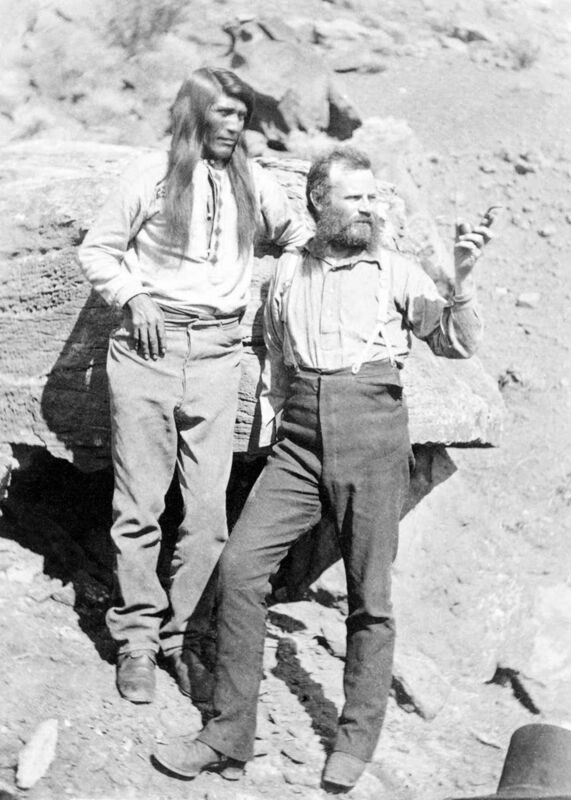 John Wesley Powell is a true hero to me. 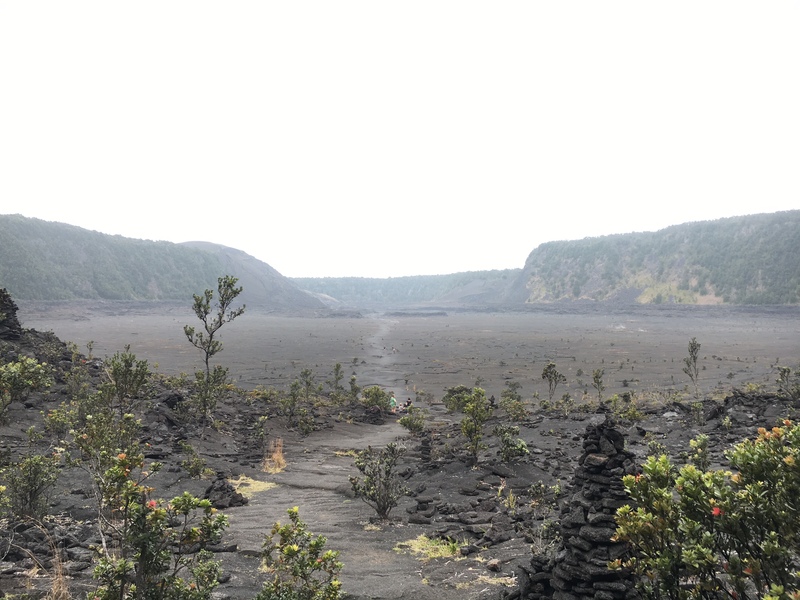 I greatly admire the naturalists and geoscientists of the 19th century that traveled to the far corners of the world and invented a new science – geology. Along the way these intellectual giants invented deep time, theories of the formation of the Earth and solar system, and applied mathematics, physics and chemistry to all the processes in nature; they brought rationale and order to what had previously been a mystical world. But J.W. Powell was far more than a wandering scientist – he was a leader among men, and overcame tremendous physical challenges to conquer extraordinary adventures. Powell was only 5′ 6″ tall, but projected authority and leadership. He was born in 1834, and was exploring the Mississippi river valley by the age of 18. In 1861 he joined the Union forces and quickly became a captain; in the battle of Shiloh he was wounded in the right arm, and had to have it amputated below the elbow. However, even one armed, he continued to serve the Union. After the war he lectured on geology and mineralogy, and became the secretary of the Illinois Natural History Society. Shortly after that, the short, one-armed, middle aged man began to explore the American West. John Wesley Powell on the shore of the Colorado River north of Glen Canyon in 1871. With Powell is Tau-Gu, a Paiute guide. 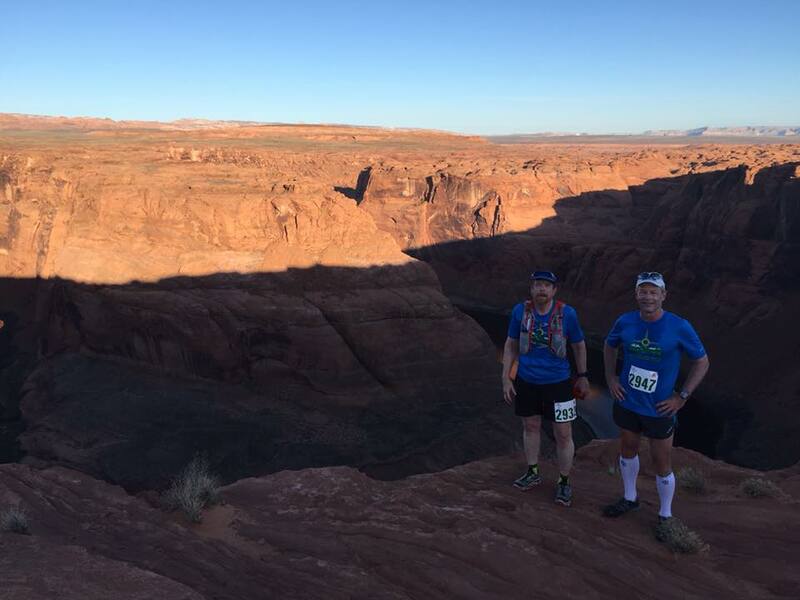 The Ultra Adventures team first introduced an “Antelope Canyon” race in 2014 on the shores of Lake Powell. The UA team envisioned a race that captured the unique setting on the Glen Canyon – sweeping desert vistas, slick rock running along the edge of Glen Canyon below the dam (with 800 feet shear drops! 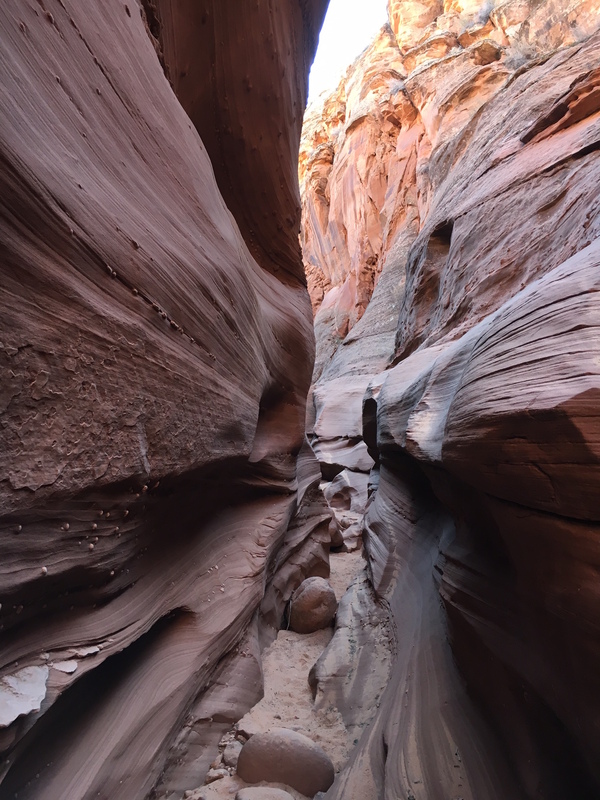 ), and running in slot canyons (twisting, narrow slices in the Navajo Sandstone created by flash floods). The first two years of the race the number of runners was quite modest – less than 120 in 2015. I wanted to run the race as soon as I heard about it – and saw the jaw dropping photographs of the course. The extra attraction was to be able to run where Powell had explored nearly 150 years ago. 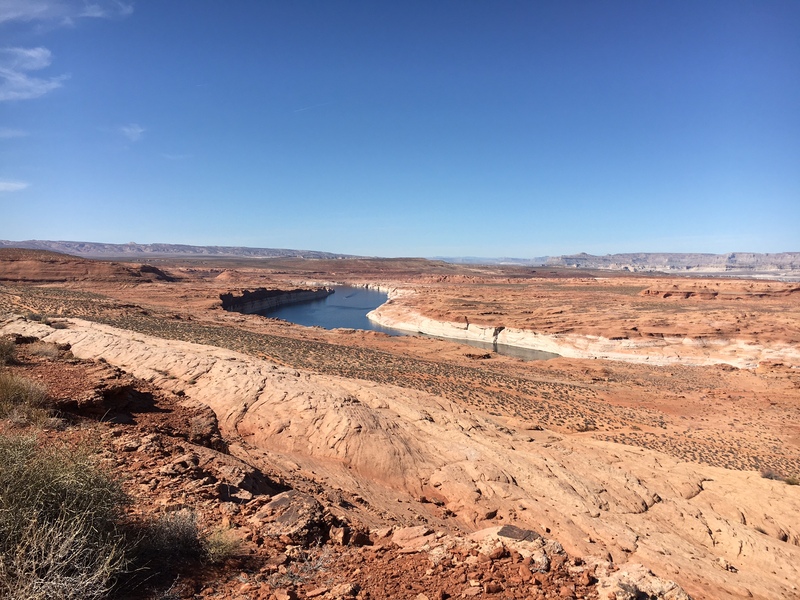 Although I have extensively explored the Colorado Plateau, I had only spent fleeting moments around Lake Powell (the giant reservoir behind Glen Canyon dam…it is unlikely that Powell would have approved of the name). 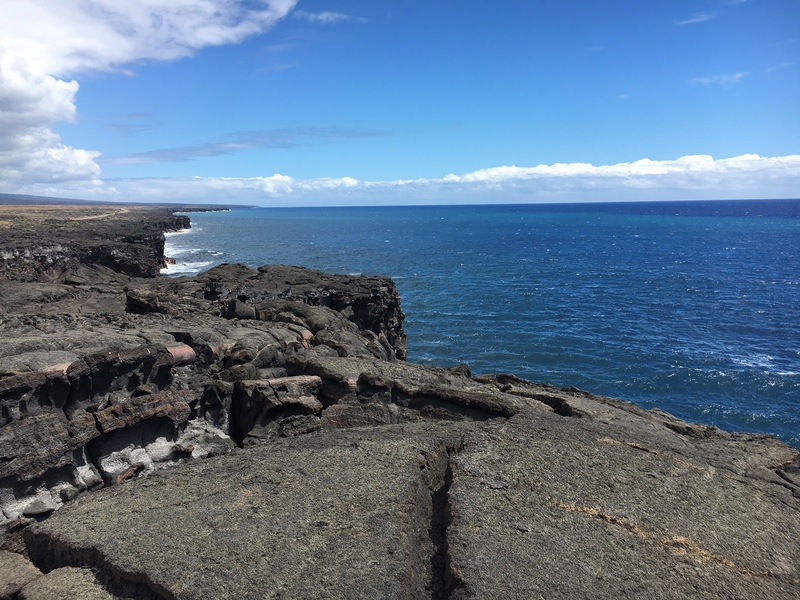 I convinced a couple of others from my home town to join me for an early season ultra, and prepared to run along a intellectual precipice; the cliff between paradise and encroachment of man. Lake Powell is one of the largest man-made reservoirs in the world, and is capable of storing nearly 25 million acre feet of water. The “lake” is a long and twisting body that is the flooding of canyons that had been cut through the sediments of the Colorado Plateau by the Colorado and San Juan Rivers. GoogleEarth image viewing from the southeast (the town of Page, and site of the Antelope Ultras is on the far left hand side of the image). The Colorado River Basin stretches from the Wind River Mountains of western Wyoming to the Gulf of California, draining nearly a quarter of million square miles. Snow that falls on the southern half of the Wind Rivers or the western part of Rocky Mountain National Park eventually collects into streams, and then rivers, ultimately merging into the mighty Colorado River. End-to-end, some water travels 1,400 miles only to be emptied into the sea some 75 miles south of Yuma, Arizona. The Colorado River Basin covers an area larger than France. It includes most of Arizona and Utah, and large sections of New Mexico, Colorado and Wyoming. The Colorado River Basin became part of the US after the war with Mexico in 1846, but remained “unexplored” until J.W. 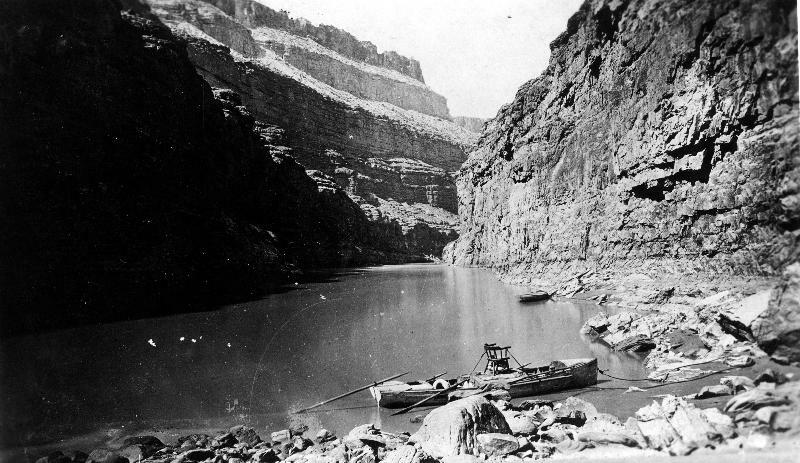 Powell floated from the Green River to the western end of the Grand Canyon in 1869. Although the Grand Canyon is rightfully the jewel of the Powell expedition, they also discovered and mapped many other spectacular canyons, including Glen Canyon. The Colorado Basin is a geologic marvel. 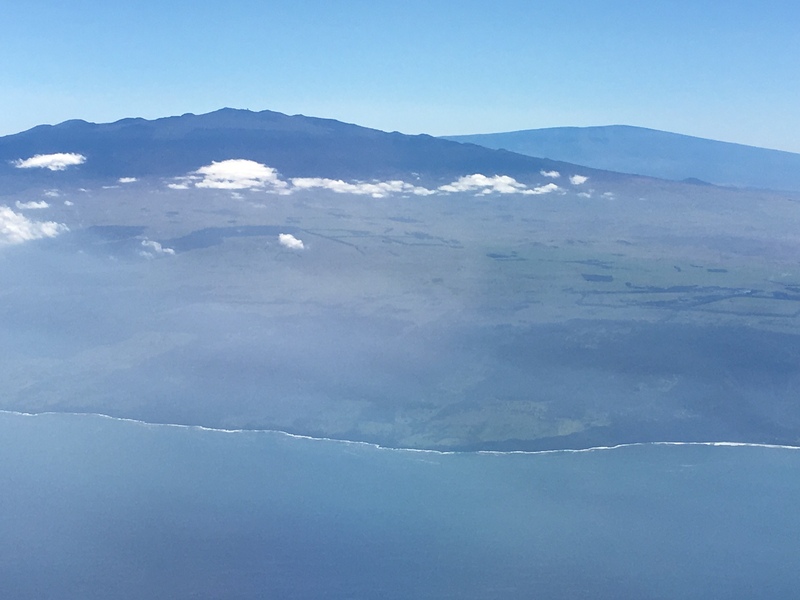 Over millions of years rain and snow have fallen on the high peaks of the Rocky Mountains; this moisture from the atmosphere collects and is pulled by gravity down hill – from the high peaks at 14,000 feet elevation towards sea. Along the way the water picks up particles and alters the minerals in the rocks that it passes by, slowly eroding that rock. Ultimately that erosion carves canyons of extraordinary architecture. 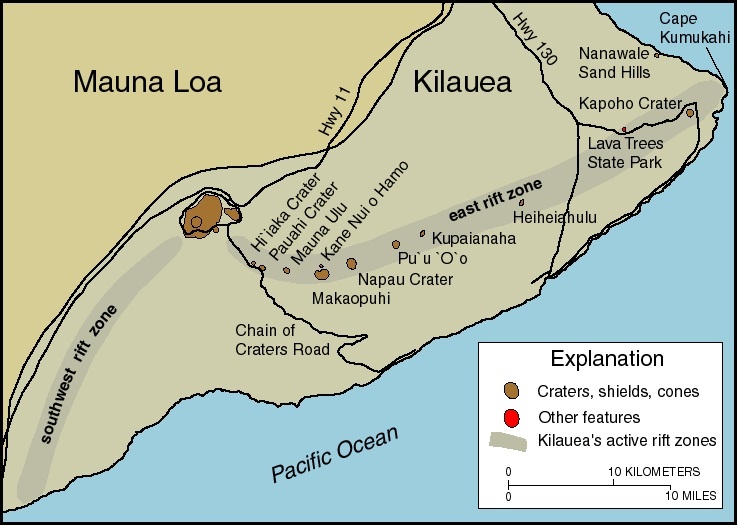 The time scales are geologic, and difficult for humans to fathom; however, gravity and water always win, and wear away the most resistant rock. 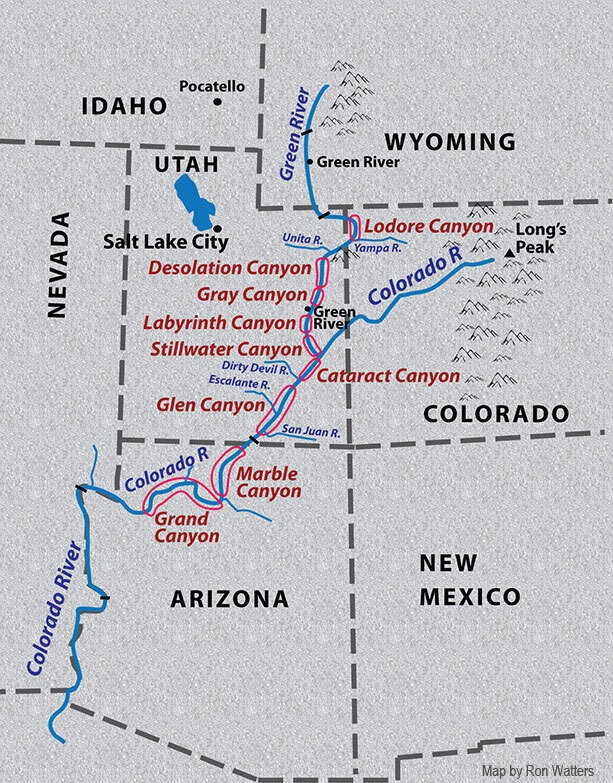 The story of how each of the canyons formed along the course of the Colorado River is complex – and in fact, each “canyon” is unique. Glen Canyon is mostly carved in a red to white sandstone that is know as the Navajo Sandstone. The Navajo Sandstone is a remarkable geologic deposit – it is present over nearly 220,000 km2 of the Colorado Plateau today (a larger area than numerous Eastern US states! 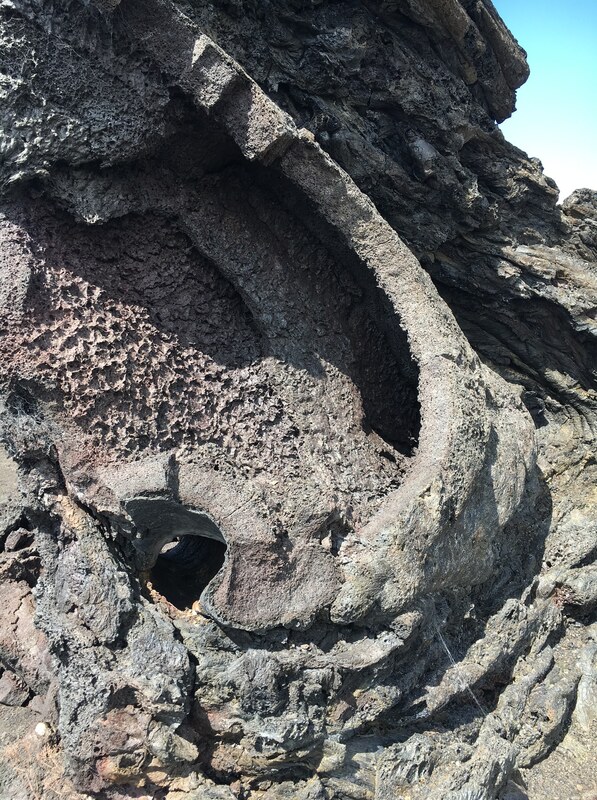 ), and is the petrified remains of a vast ocean sand that once was on the edge of a super continent, Pangea, during the Jurassic Age. 190 million years ago this ocean of sand probably covered an area three times as large as the present day deposits; larger than even today’s Rub’ al Khali, the Arabian Peninsula’s vast Empty Quarter. An outcrop of the Navajo Sandstone near Horse Shoe Bend. 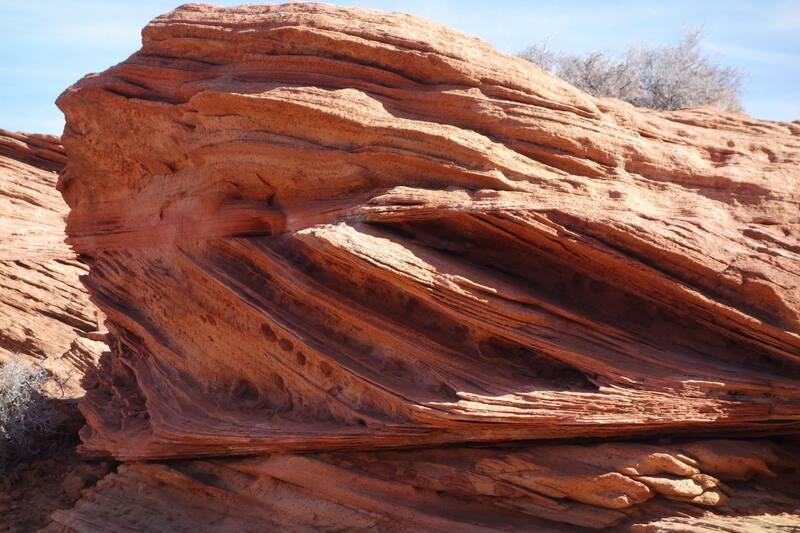 The unique layering structure – like a stack of cards that have different angles – is fossilized crossbedding from Jurassic aged sand dunes. The vast sand dunes moved by blowing sand from one side of the dune to the other – always with the prevailing direction of the wind. 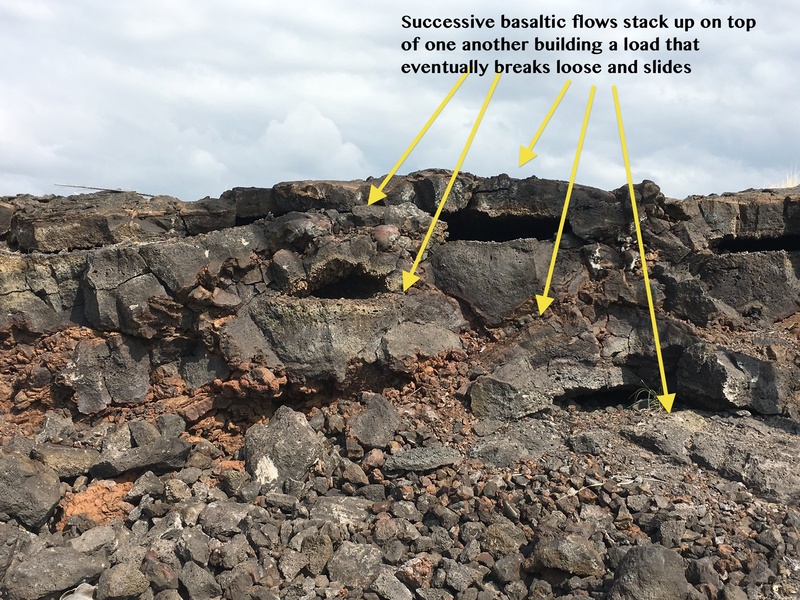 This results in a tilted layer cake structure within the dune. 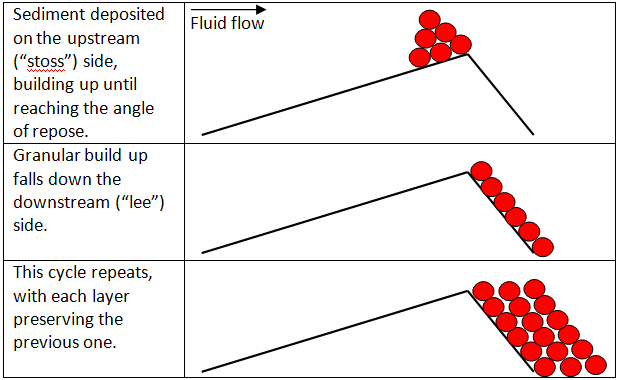 A graphic depicting the formation of cross bedding – where the “fluid flow” is wind carrying or pushing sand grains. Figure from Wikipedia. The Jurassic aged dunes became “fossils” for a couple of reasons: first, the great sand ocean was within a basin which slowly subsided. The sand blew in, and was slowly buried. Secondly, the buried dunes were exposed to ground water that interacted with the sand grains – in the case of the Navajo dunes these grains were pure quartz – and started slowly chemically altering the grains into a hard, concrete like material. Finally, and perhaps most remarkably, these frozen dunes were left undeformed for tens of millions of years, providing the vast expanse that we see today for the Navajo Sandstone. The slow erosion of the Navajo into the present geography of Glen Canyon took at least 20 million years. 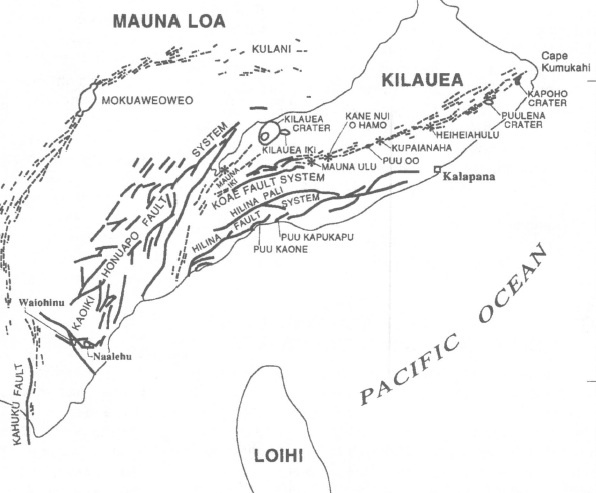 Along the way, other events occurred – like flash floods. These flash floods pick up the quartz sand that had already been eroded and swept those hard quartz grains across the soft rock surface scouring out impossibly narrow slot canyons. 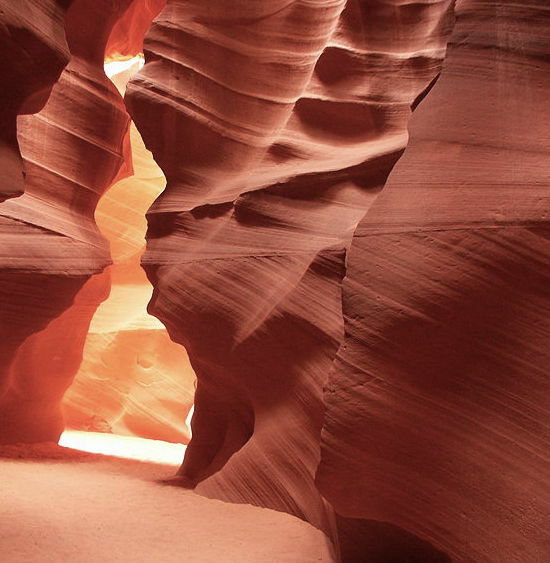 The narrows of Lower Antelope Canyon – a slot canyon formed by flash floods. Picture taken the day before the race. The fate of Glen Canyon was sealed in a deal struck only 25 miles from my Los Alamos, New Mexico home. In 1922 representatives from the western states that bordered the Colorado Drainage Basin met and divided up the water flowing down the Colorado River at Bishop’s Lodge located near Santa Fe. The states were thirsty for water to spur development and the northern states (Utah, Colorado and Wyoming, along with some interest from New Mexico) wanted their “rights” in law before Californians drank up all the flow downstream. The Colorado River Compact was signed, and the Basin was divided into two sections – a northern and a southern. The dividing line was Lee’s Ferry, at the very end of Glen Canyon. The die was cast – the northern states would argue for a dam near or in Glen Canyon to hold “their water”. Lee’s Ferry, located at the terminus of Glen Canyon (photo taken the day before the race). This is the dividing line between the upper and lower Colorado River Basin. The story of how the dam was built is worthy of volumes – and certainly beyond anything I would write for a trail running blog. Despite a heated debate, congress appropriated money for the Dam in 1956, and the lake began to fill in 1963. What was delicately carved canyons became the playground of boaters, and the water was used to spur population expansion in Arizona. It is likely that the dam will eventually go away – maybe in a millennium or two, but short in geologic time – but for now, the canyons are a place of human engineering. 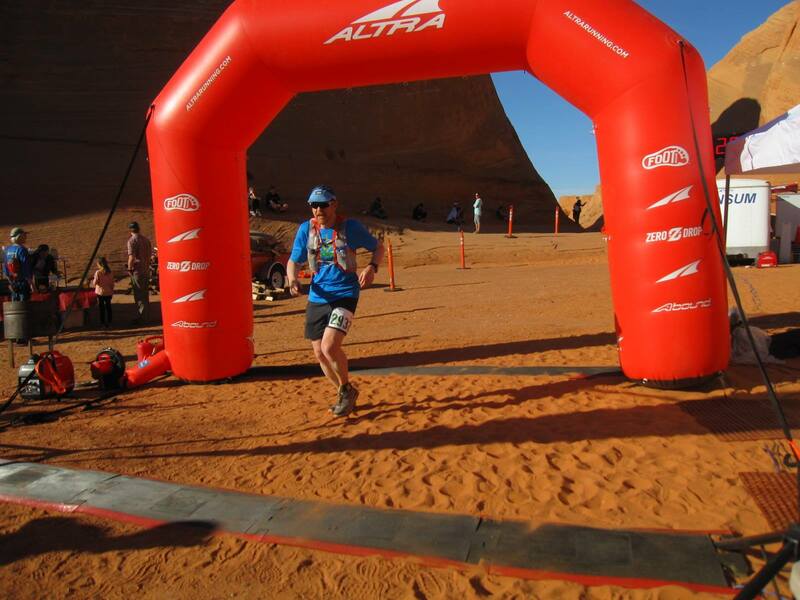 The start and finish of the Antelope Canyon ultra, separated by 9 hours. I ran much of the course with Dave Zerkle and Dave Dogruel. Carolyn Zerkle photo. 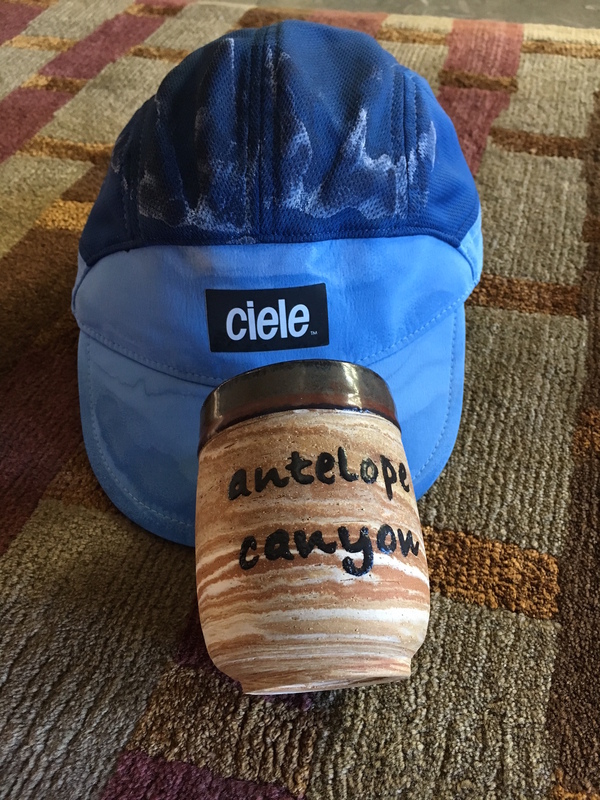 The 2016 version of the Antelope Canyon Ultra was actually 3 races; a 50 miler, a 55 km, and a half marathon. Despite the name, only the 50 miler traverses Antelope Canyon, which is the most famous of the Colorado Plateau slot canyons. Every year thousands of tourists visit Antelope Canyon and take stunning photographs of shafts of light dancing on carved red sandstone. 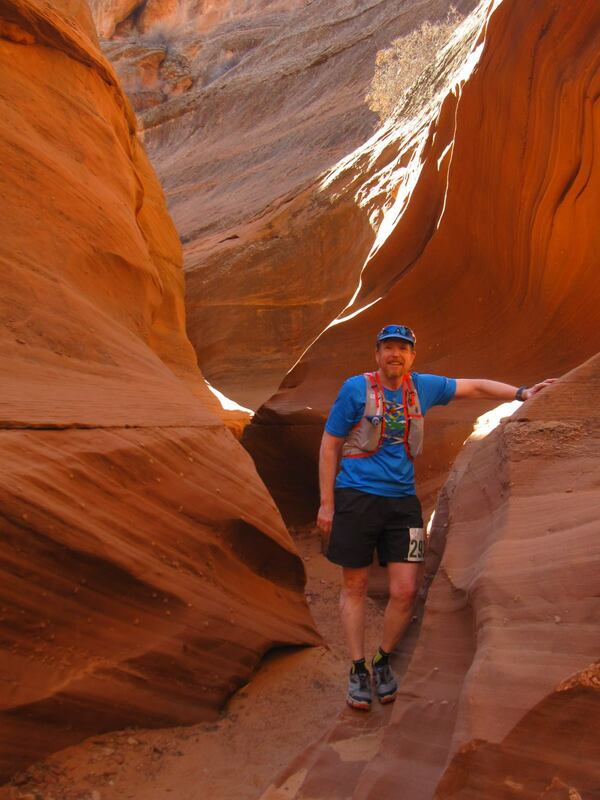 However, despite the mis-epithet, the 55 km was every bit as spectacular as the 50 miler, and the run included a much less well known, but equally stunning slot canyon, called Waterholes Canyon. 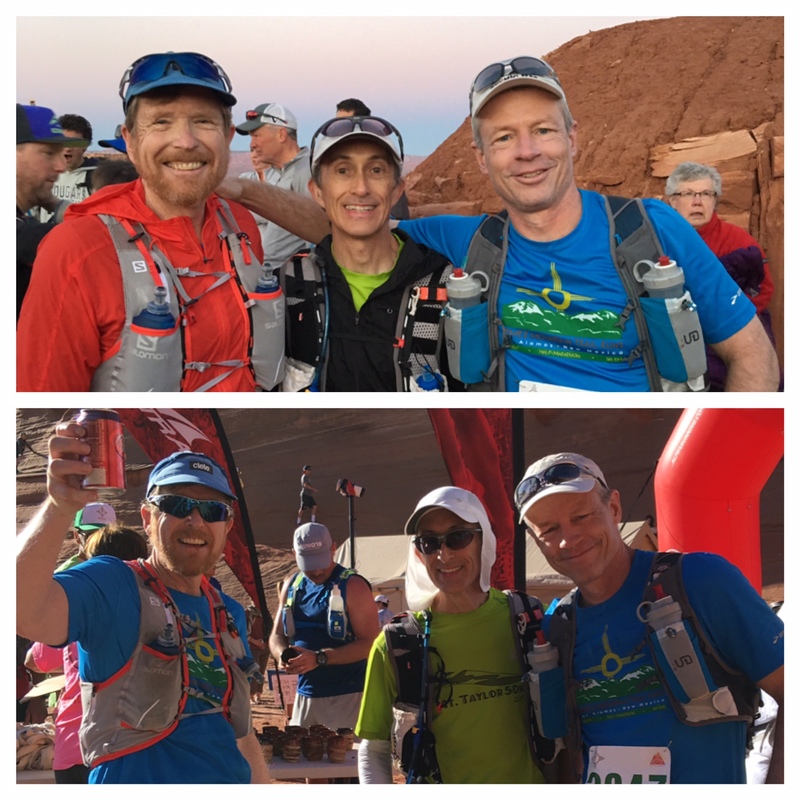 So, really, when we lined up to run the ultra we were running the “Waterholes Canyon Ultra”! The biggest surprise to me when I arrived in Page, Arizona the day before the start was that the race had grown in size exponentially. Between the three distances, there were more than 700 runners! Page is a small town, and February is not boating season, but it was still amazing how runners were apparent everywhere – from Subway to Safeway, people wearing Garmin watches was the norm. The start of the race was somewhat surreal – out in the desert there were two huge and dusty “parking lots” filled with runner’s automobiles. The starting area was congested with colorful technical running clothes, more than a few plaid shirts and lots of trucker hats. However, once the start occurred — with a casual countdown from 4 somewhere around 7 am — the carnival atmosphere subsided. 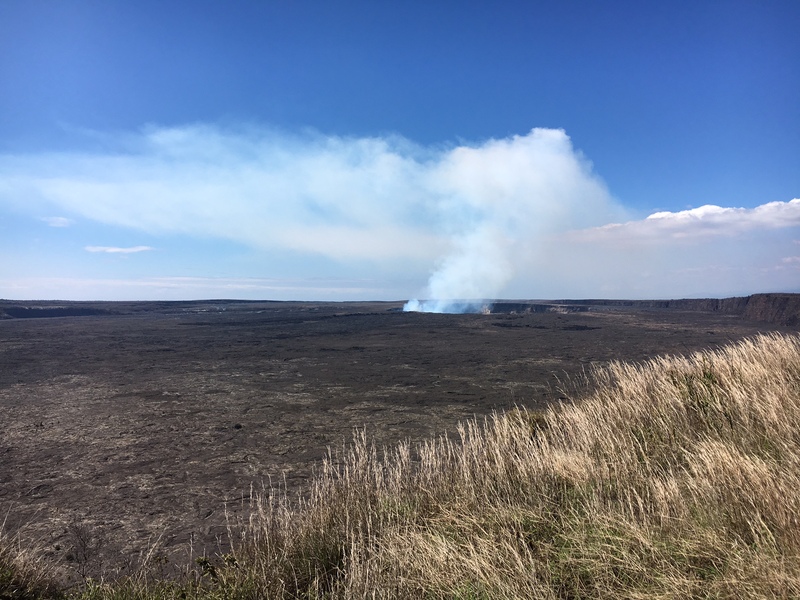 The first two miles were a harbinger to come; the course was along a trail that was sand, and not sand like on a beach, but red, microscopic grained quartz sand. Within the first two miles we were able to maintain a nice pace, but it was obvious muscles were being used to propel us that were seldom used in trail running in Los Alamos. There was no real way to find hard packed regions, both because so many runners were ahead of us, but because the nature of the sand. Plodding forward was the mantra of the day. We made good time to “Horse Shoe Bend Aid Station” (should have been named Band-Aid Station) about 5 miles from the start. We arrived in 55 minutes, and in the back of my mind I was thinking “My training paid off! I must of gotten in shape!”. Alas, when we arrived at this same aid station 12.5 miles later (at mile 17.5, or a little over the halfway point), I was thinking “I probably should improve my swimming”. About mile 5.5 we arrive at Glen Canyon and shear cliffs above the clear-green Colorado River below. The sun is up, but not high enough to capture the magnificence of Horse Shoe Bend. This is why trail running is so fun – great views, and you just stop and take pictures. From the aid station to the overlook of the Colorado River is only a half of a mile. It was spectacular to be running on the edge of the canyon, and I thought about what J.W. Powell must have imagined as he rowed on the river and looked up at the cliffs where we were now running. After leaving Horse Shoe bend the course is out of the cursed sand, and on slick rock – bare Navajo Sandstone – for about 5 miles. 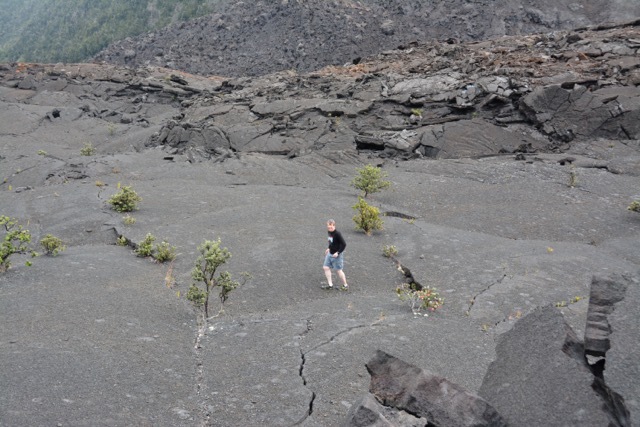 The running is technical, and there are many hops and climbs up carved rock ravines. The slick rock was most welcomed after the sand, although it can not be considered “a fast track” – at least for us. The views down the canyon are marvelous, and at about mile 10.5 we come to the overview of the inflow from Waterholes Canyon – simply stunning. 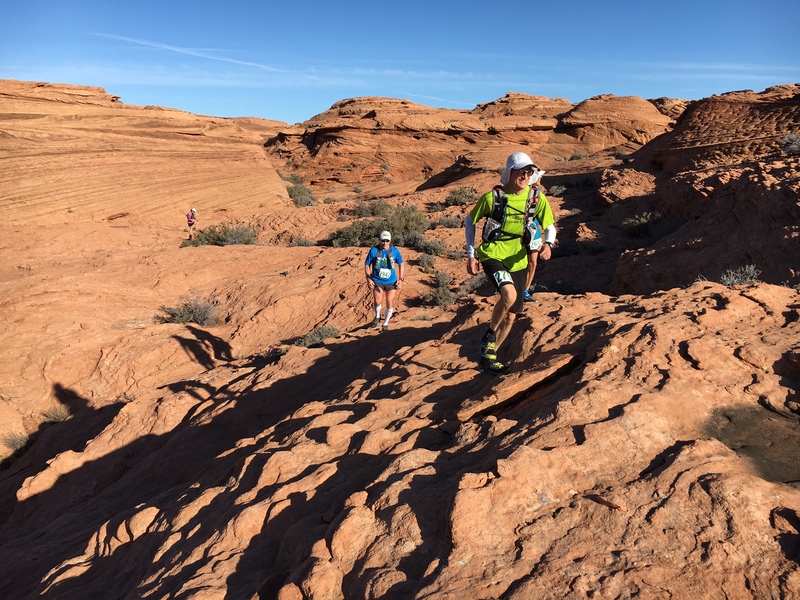 Dave Zerkle and Dave Doggrel running on the slick rock near the edge of Glen Canyon. Every step is different than the last. The course follows the Waterholes canyon drainage to about mile 12.7 where there is a well stocked aid station. This marks the beginning of the absolute best part of the course – a running experience that can best be described as ecstasy. After fueling, runners carefully descend about 150 feet down into the bottom of Waterholes. Waterholes Canyon – near the Aid Station at mile 13. The canyon is alternatively narrow (so narrow that you have to turn sideways occasionally) to somewhat broader. The light dances off the carved faces of Waterholes – it is a sublime experience to run in nature’s artwork. The run through Waterholes is about 1.6 miles – it is not fast, but it is beautiful. Along the way there are steep passages that require ladders. These ladder climbs cause bottlenecks, and it is actually more difficult to climb the metal rungs than I thought it would be. Just before I exited the canyon I was passed by the first 50 miler – he had an hour head start on us (the 50 milers started at 6 am) but he had run 16 miles further than I had. Humbling! The climb out of the canyon is up a steep sandy hill, which marks the worst part of the course! From here there is 8 miles of running on sand. 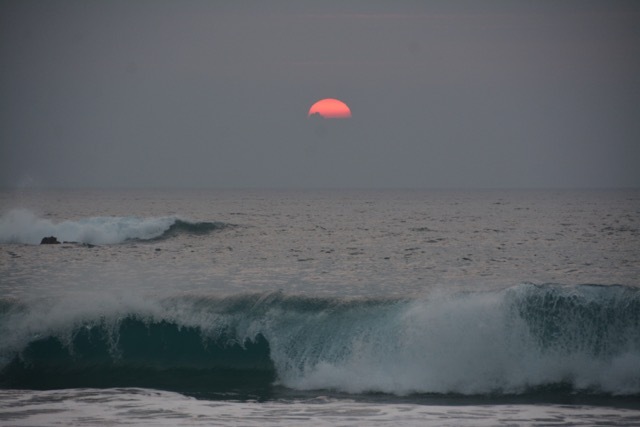 Sometimes 3 inches deep, sometimes only an inch, but sand nevertheless. The sand slows you down, and even more insidious, it fills your shoes. The first 3 miles of the great sand slog is along a dirt road that was built to service the great power lines coming out of Glen Canyon Dam. The road is straight, but the sand is soft. Upon arrival at the Horse Shoe Aid station for the second time, we have reached the half way point of the journey. I have to sit down and pour sand out of my shoes – and even before I can put my shoes back on the fabric of my Hokas sheds more sand into the shoe. It takes three dumps after shaking before I put the shoes back on – but the real impact of the sand is the rub it has induced on my toes and heels. Zerkle and I coming into the aid station at the halfway point. The sand at our feet is everywhere – and the sun is bright, and no shade of any kind will come our way for the next 17 miles. After the aid station I have to stop twice more and empty my shoes; I put band-Aids on the blisters that are forming, and tape on my toes. However, by mile 20 it is clear that my feet are going to be torn up by race’s end. We are much slower in our pace now, and dealing with the sand becomes a ritual. Finally, at mile 21.5 we climb up a steep trail to the butte that is home to Page, Arizona. 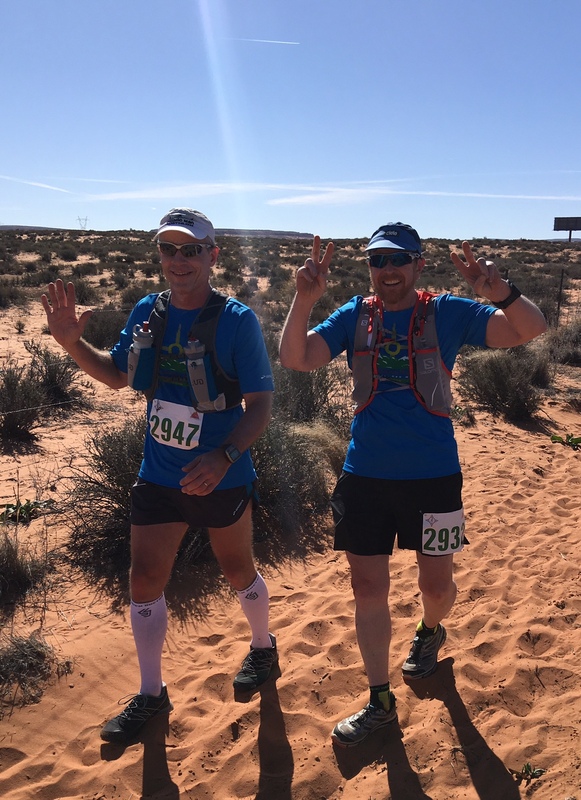 At mile 22 we reach an aid station and empty the sand one last time, and prepare to run the last section of the course, which is a sweet single track trail that is called “Page Rim Trail”. It is absolutely perfect for speedy running! View from the Page Rim trail at mile 27. The water is a branch of Lake Powell, and to the right of the water is Antelope Island, created by the flooding of Glen Canyon. 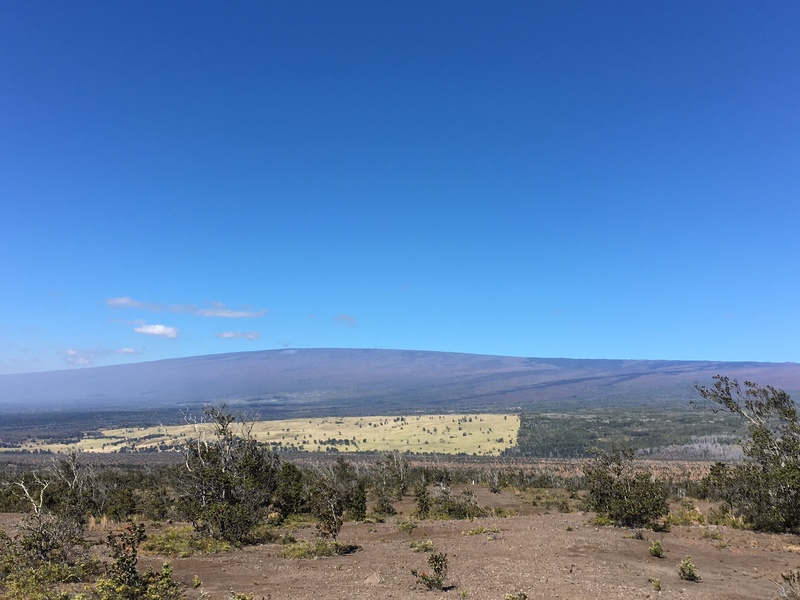 The vistas are sweeping – but also apparent from the picture is that there is no relief from a bright sun! I run the first mile of the Rim trail pretty fast, but my feet are killing me. I start to try and adjust my stride to take pressure off where I think my toes are blistering. This really slows me down, and ultimately led to the onset of cramping in my legs. At about mile 27.5 I begin to cramp in both legs, and then, suddenly my right leg twists up in the mother of all cramps and I fall down! I am a bit concerned that I will be paralyzed with pretzel leg, but eventually get the leg to upwind. I decide to walk for a while….and in fact every time I start to run, I start to cramp. 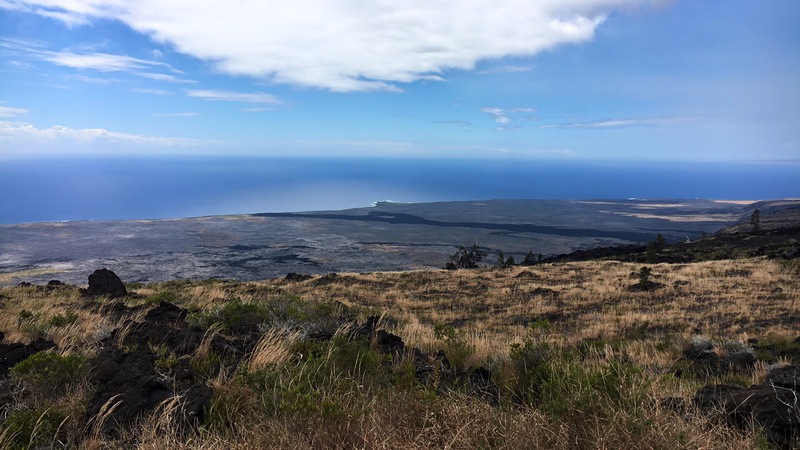 Disaster – I end up walking the last 5 miles of the ultra. Finish line – about 8:55 for the entire run. Given the long walk at the end, I am happy to have survived. Dave Dogruel photograph. 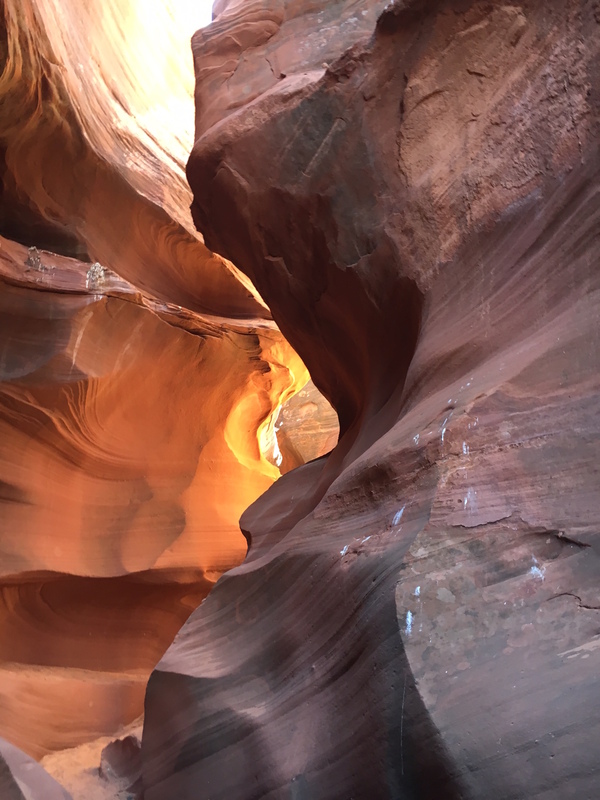 It is disappointing to be so slow, but the course is simply stunning.I expected the Antelope Canyon Ultra to be both interesting and challenging…it was both. I was unprepared for the sand, and I was amazed at those runners that seemed to think the sand was fairly pedestrian. My friends and I thought otherwise. But, despite the sand, probably the biggest challenge was staying hydrated. By my estimation I drank nearly 2 gallons of fluid from just before the race start to the end; yet I never eliminated any of that fluid during the run. I sweated – well, I suppose that is an understatement. All that water went somewhere. I wonder if Powell sweated to exhaustion during his expeditions? It is not in his journals, but he was a polite and reserved man. My salty hat after I arrived home – there were some free standing salt crystals, which in retrospect, is kind of cool. The finishers award is also shown. 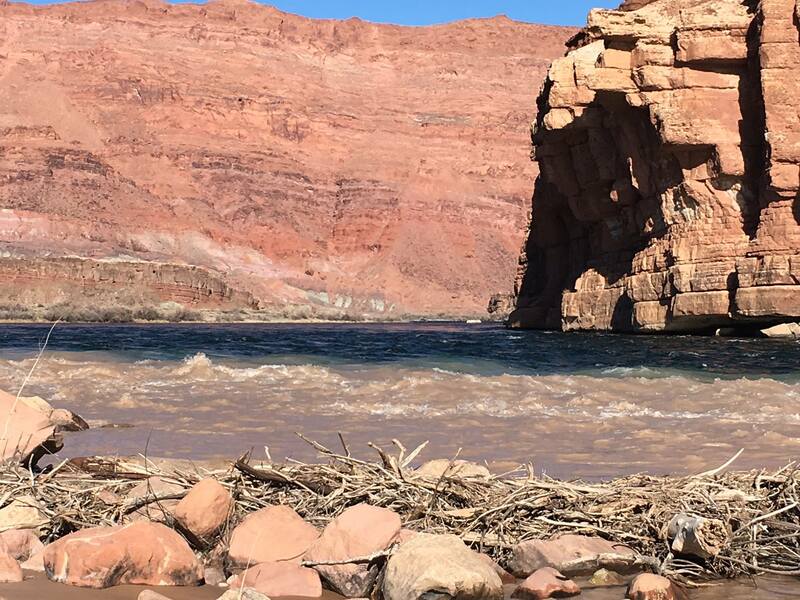 The vast region of bluffs and canyons around Page is beautiful today – but it looks nothing like it did when Powell first floated by in 1869. 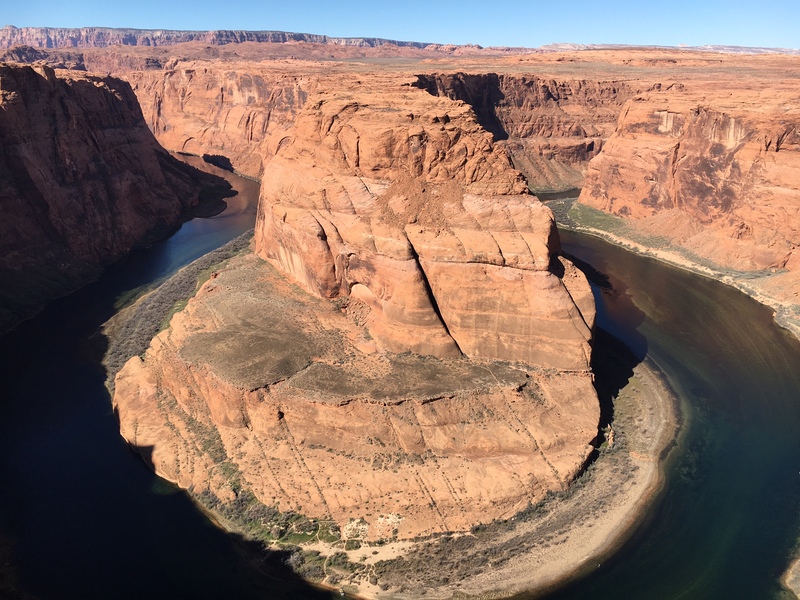 The building of Glen Canyon Dam – which was authorized by congress only a few weeks before I was born in 1956 – changed both the landscape, but also the national psyche about conservation. Edward Abby wrote about the enormity of Glen Canyon and how it appeared that no human had even touched the great work of art geology had wrought. By 1963 that had changed – the lake began to fill, erasing the canyons, and bringing tourism, boaters and power plants to the barren red rocks. It erupted a sense within the country that perhaps manifest destiny, as defined by huge engineering projects, was not the only or best use of our land. It is too late to debate the past – it is done. Boaters are happy (Lake Powell boasts the largest house boat in North America….can that be bad? ), but I personally mourn the loss of something monumental. 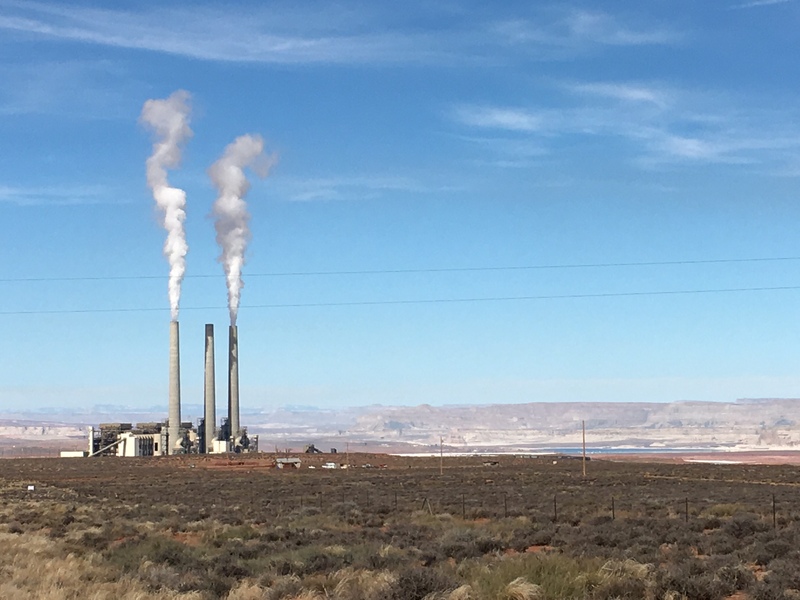 Navajo Generating Station, just east of the Antelope Canyon Ultra course. This is a 2250 megawatt coal-fired power plant and the third largest source of CO2 emissions in the US. 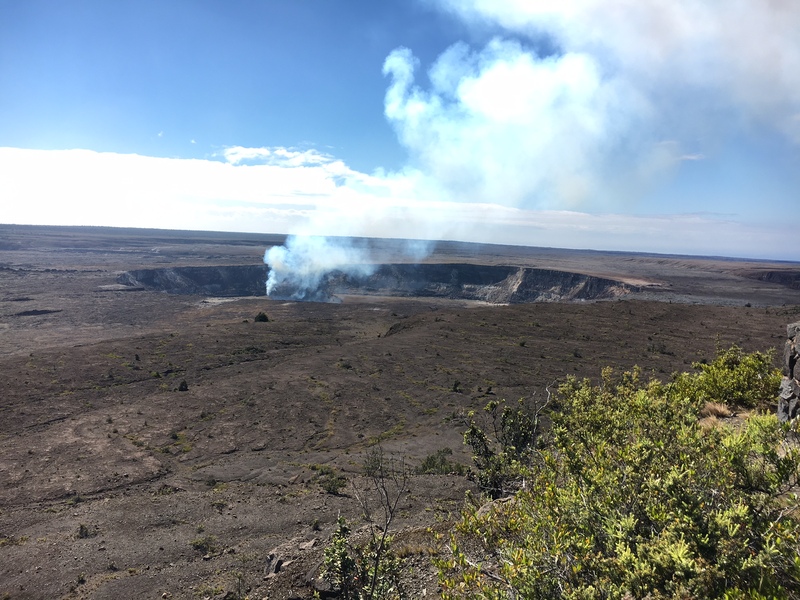 I fully realize that nature will win in the end – no dam will survive geology epochs, the coal will run out, and plants will be shut down and removed – but even the most isolated vista now feels polluted with humanity (including me). 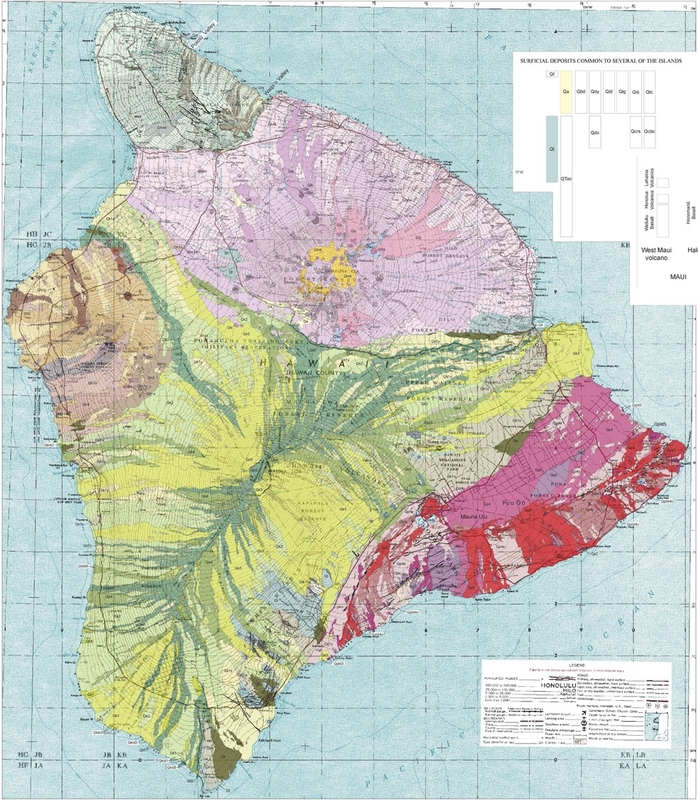 It is a paradise lost – but it is also a huge classroom about the Anthropocene, the age of Man. Running in the slot canyons reminds me of the enormity of geology, but the aluminum ladders that I climb over the steep sections reminds me we always tame nature. Entering Waterholes Canyon – this is a mystical land. Photo by Dave Dogruel, and to me, this is what trail running is all about.